This year, let us spare a thought for our friends and relatives who have dietary restrictions, and come up with some sweets for special diets. There are desserts in Italian Christmas tradition that are perfect for those who are gluten-intolerant (celiac disease): These are homemade egg white and almond or hazelnut-based confections that will please even the most difficult palate. 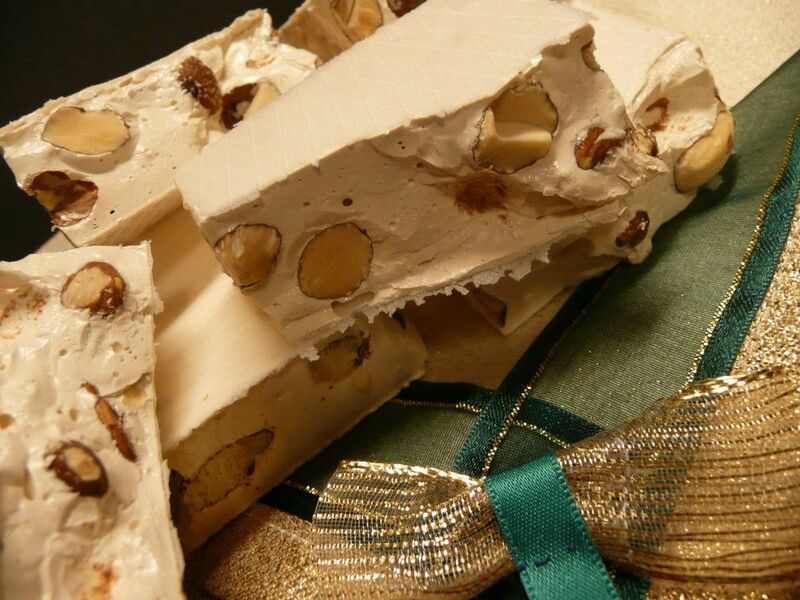 One of these sweets is “Torrone” (pictured above), a nougat-like rectangular tablet, in which the contrast between the smooth white paste made from honey and sugar, and the crunch of almonds or hazelnuts is striking. Another treat also made from the same basic ingredients and strictly gluten-free, is what is generically called “pasta di mandorla” (almond paste). This is a very light and delicious almond-flavored biscuit, bearing different names based on its place of origin. Try the “Ricciarelli“, a traditional biscuit from Siena, or “Paste di mandorla” from Sicily, or the “Amaretti” (the ones from Saronno are the most famous). You will definitely find what suits your budget as the prices range from $6 to $18 depending on the type, quantity and packaging. And if some of your friends are allergic to nuts, you can gift them “Marrons glacés” (chestnuts candied in sugar syrup) that cost $10 for a 200g box. You can find all these beautiful products at Milano, 6862 St Laurent, Montreal, or in any other Italian gourmet food store. Originally published in the Journal de Montréal on November 26, 2011.